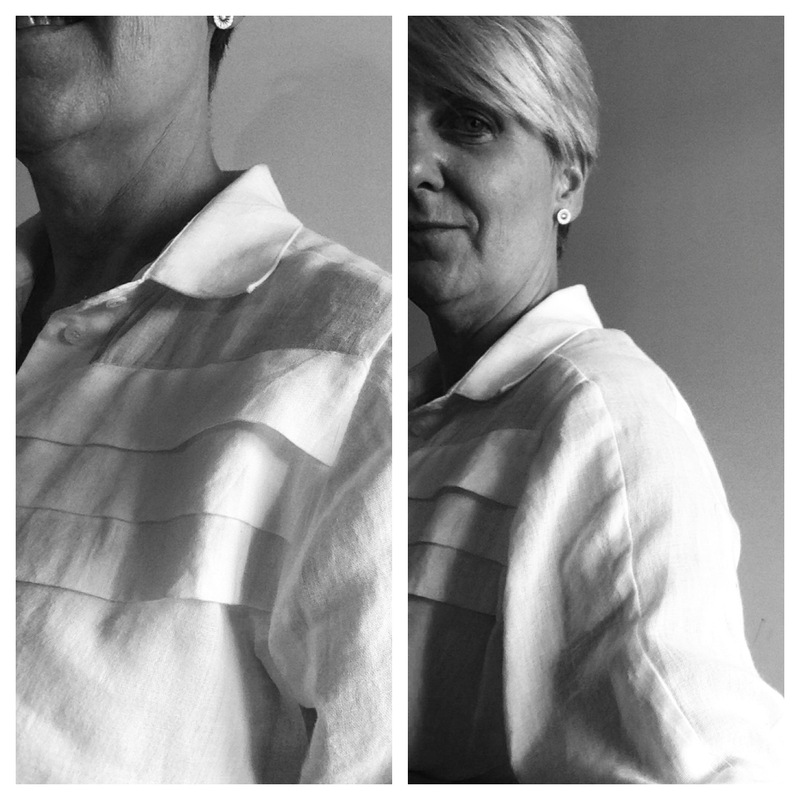 Been getting shirty…in a good way! Both of these patterns are now TNT’s for me. The Archer (by Grainline Studio in case you are totally new to the sewing blogosphere) is a looser fit, with slightly oversize shoulders, which suits me fine cos I have narrow shoulders and a bust…the wider shoulder on this shirt balances this out, I think. I played around with collar size on the Red Dots version. If you look closely, the collar and stand are bigger; I sewed them with a 1/4 seam allowance. I thought the larger collar would work with the large red dots. 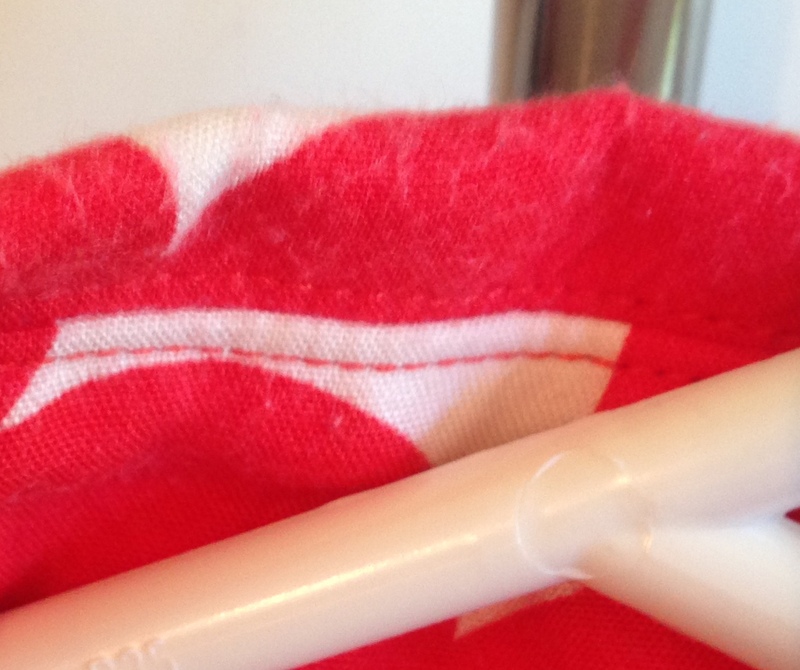 Unfortunately, the Red Spot rayon hasn’t worn well…so this one won’t be in circulation much longer. The Wenona by Named Patterns is a closer fit but still comfy. I love the centre sleeve piece, running from neck to cuff. I like a softer fabric for the pleated front panel. I plan to try it with some slinkier fabrics. The collars on both seem to curl up at the tips? I’ll investigate using some firmer interfacing. I used the sew-in interfacing I usually use (Shapewell) – haven’t had this happen til now. I love the little point at the back of the collar. A fun detail! 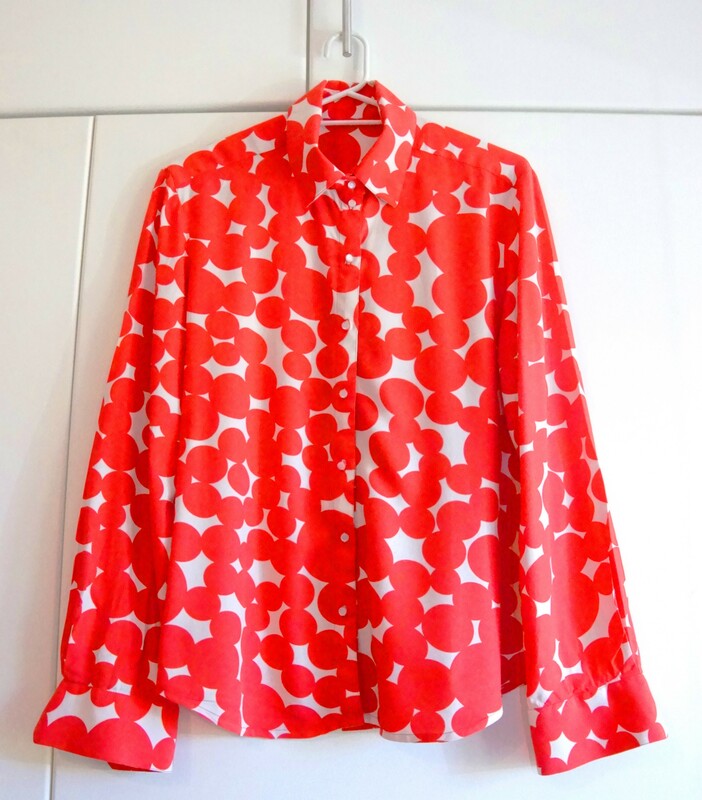 I have a Papercut Patterns ‘Meissa’ blouse in progress …and I’m prepping Sewaholic’s new Granville Shirt. Will be getting shirty for some time yet! This entry was tagged Archer, flower power, Grainline, Meissa, Named Patterns, Papercut Patterns, Red, Sewaholic, shirt, Wenona. Bookmark the permalink. 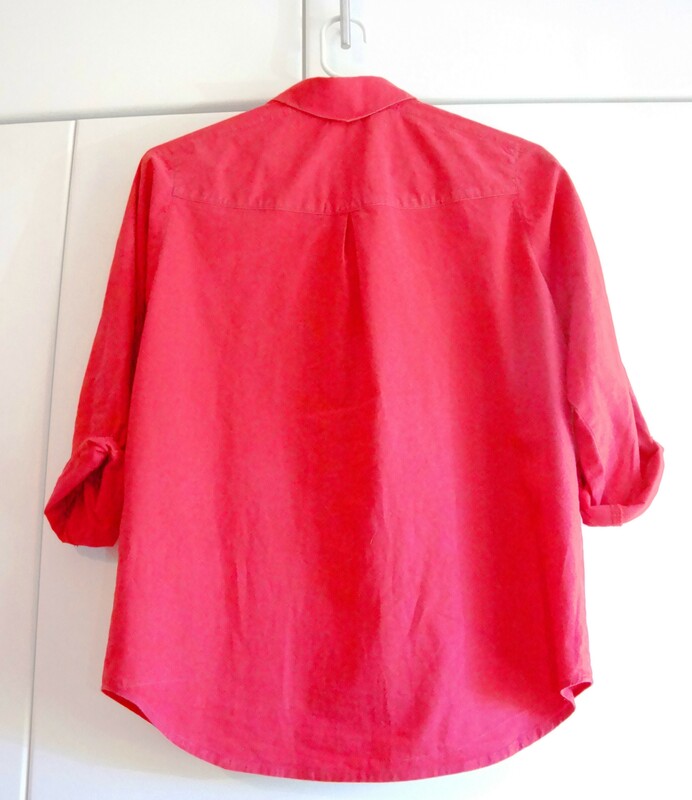 ← Perfecting Negroni’s – Be Gone Bumpy Flat Felled Armscye Seams! Ive been waiting to see these! Especially since my Alder binge which has got me more interested in shirtmaking – in fact I purchased a book about it today. 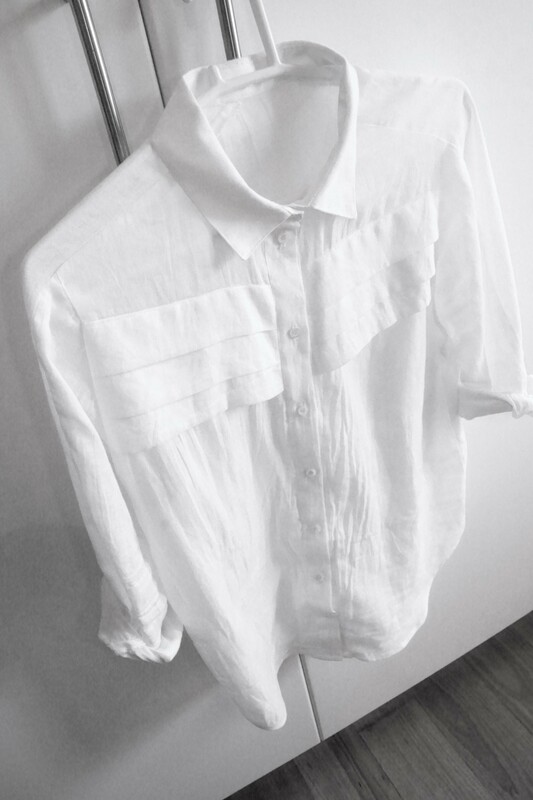 I especially love white shirt – great details. Do you use a sew-in interfacing in the button plackets as well? Lizzy, I was worried you might faint at the sight of this….you have been very patient! I love the white one too. Yes, I used the same sew-in interfacing in the button plackets. I think sew-in interfacing gives better results than iron on, in most cases. I use a glue stick to hold it in place before sewing. Which shirtmaking book did you get? I can highly recommend David Coffin’s book and the accompanying DVD. Yes I woke up this morning, jumped on Booko.com.au & got the David Coffin book! I’ve got all the patterns you have mentioned in this post – except the Named one. Definitely have a look at the Wenona – it’s a shirt dress pattern as well as shirt pattern. Lol you are a temptress! Thanks Hila! Today is Granville Day! Meant to add, I agree, silk organza is fabulous for interfacing too…though the white Wenona needs something stiffer. Anne, I always love your shirts! Love the red dotty thing. The Wenona is new to me so thanks for the tip on that one. I’m in the process of combining the front of the Sewaholic Oakridge with the rest of the Granville so we’ll see…hopefully it will be a cute frankening. Hi Dorcas! I’ve said this before, but it was your Archers that got me fired up! Cool idea to blend the Granville and Oakridge…ha, they’ve been out a week and already the frankenpatterning has commenced! Love it! They’re all fabulous! I really like the Wenona in White, those pleats are a lovely detail! Thanks Vicki Kate. The pleats are a gorgeous feature…and pretty easy to make. Just mark very accurately. You should get shirty more often. Love them all but have to say that white one is mighty special. Hi Beajay! The white Wenona was a muslin that worked! Love it when that happens! Hi Sarah, thanks! The Wenona is a great pattern…it includes both the shirt and a shirt dress. Definitely more Wenona’s coming up. Lol, Toni…yes, very me. The Wenona in linen would make great cruise wear! What a beautiful collection of shirts. I particularly love the white one with the front pleats. 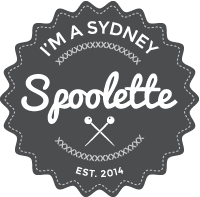 Shirt making is definitely high on my priority list at the moment too. Great inspiration. Hi Anne! Yes it was a big surprise to run into you. In fact, you are the first sewing blogger I have ever met in real life. It was the last thing I was expecting to happen as I was frantically trying to finish my pre Christmas shopping/errands. Hope you enjoyed your holiday in our lovely little part of the world. And yes, I would love to catch up next time you are visiting. I think all 4 shirts are just perfect but the Archer Flower Power is my favourite. 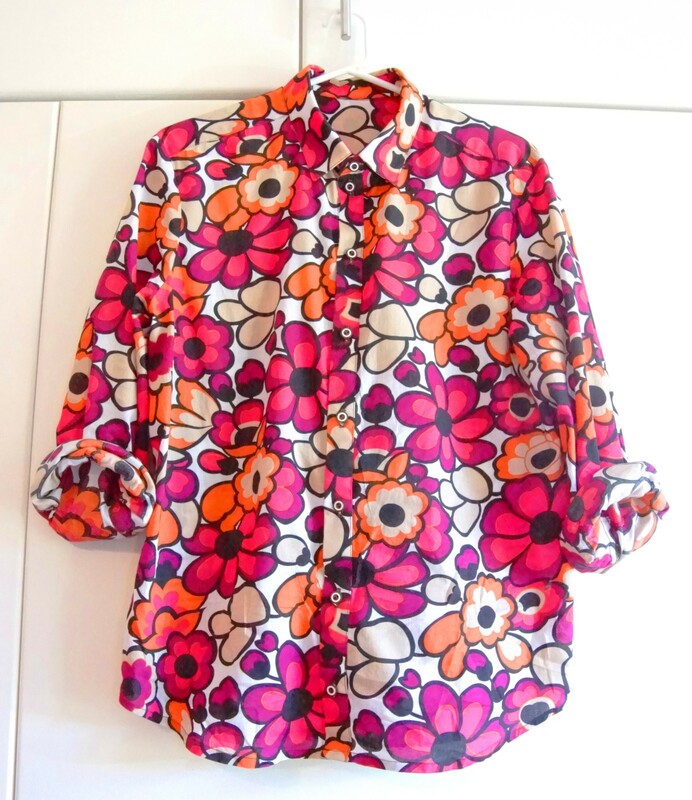 I like the Named pattern Wenona shirt too and you are the first to blog about it, that I have read anyway. I bought it a while ago and I had basically forgotten about it, so I will have to pull it out and try it. I love the Archer but the Granville looks like it might have the edge in the winning stakes. So I will wait with anticipation for yours to appear on IG and your blog. I have trusted you so far on the Renfrew and the Archer and I am going to trust what you write on the Granville before I buy. Happy sewing Anne. Great shirts, they suit you perfectly. I usually use iron on interfacing because I’m a tad bit lazy sometimes but lately it seems to be bubbling – I must have had a bad batch – so I think I’ll have to join you on team sew in interfacing! Thanks Kristy. I am definitely in the ‘sew in’ interfacing camp! I haven’t had any major disasters with iron on, but sew-in just feels more durable. And it’s not any harder to use – I use a glue stick to hold it in place ..or hand baste….takes as long as it does to fuse iron-on properly! So many shirts, so many different looks! All four are quite wonderful, but what a shame about the rayon fabric not holding up. I, too, like sew-in interfacing – I just never quite trust fusible interfacing for something I hope will last a long, long time. Thank you Fifty Dresses. I need to read up about Rayon…have recently noticed a few comments in the blogosphere about poorer quality stuff fraying/pilling. I want to know what to look for / avoid next time, cos I love the soft feel and drape of it! I love these shirts! I have recently purchased the Archer pattern so feeling inspired! You certainly are having fun with your shirts, love the white one those pleats are very interesting. I’d been missing your posts. Clearly you’ve been off with elves at the shirtmaking factory! I love all of them and the red and white is absolutely cherrypix.